I recently created a few short music videos with a new camera capable of going underwater. I’ve had other underwater cameras in the past, but this one is my new favorite! I can shoot in true and high-def HD and can shoot in true slow-motion too, giving a terrific and smooth slow motion, rather than a jittery slow-mo that is created from just slowing down clip shot at normal speed. Check out this demo video I created while testing this camera last weekend on my friend’s boat. I love the abstractness of the bubbles and water. I shot for that quite a bit. 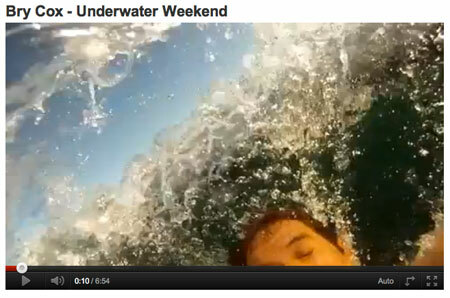 During this underwater shoot, I securely mounted the camera to my wrist, my chest, and even to a pole. I tested it in sunlight, underwater, with movement, and everything else I could think of. I’m excited because I didn’t have to edit any of the clips. All of what you see is exactly what I created in camera — no adjustments. About a week before I also tested it for time lapse ability and also wanted to test the mount I got for it to secure it to the outside of a vehicle. I wanted to see how it would hold up to the wind at freeway speeds. 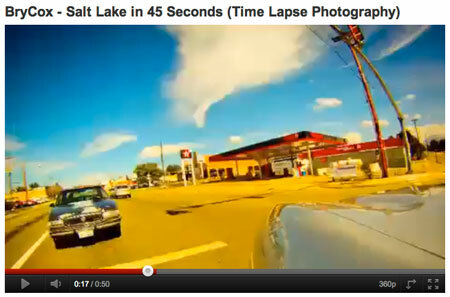 Here’s what I created while driving from my house to 7600 South in Salt Lake. I am very impressed and have a bunch of new ideas for using this camera now. I really hope to use it on high school seniors. Years ago I created music videos from weddings and seniors, but the time involved to produce the pieces was so time consuming, that the packages became very expensive. Now though, with this camera and with the newest editing software that I’ve also been testing, I hope to be able to create these kinds of things again for seniors and wedding couple, but in a more cost-effective way, and with even greater production value. If you’re a high school senior and want a hip music video that you can post on your facebook page, then give me a call! NO ONE creates images like me! My shoots are super artistic, fun, and I know just how to make you look great! You will LOVE your images! This is interesting and I enjoyed reading your other post on the time-lapse feature … would you mind sharing the make and model?